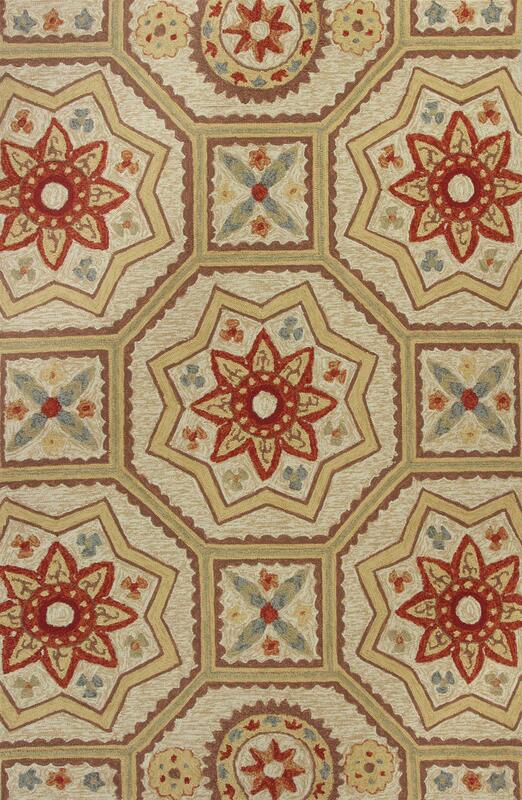 Meridian 2526 Sand Arabesque 3'3" x 5'3". 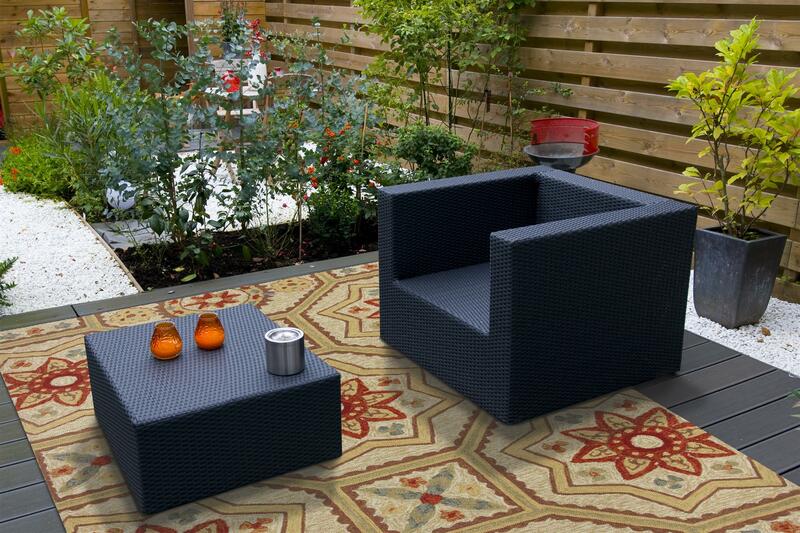 Hand-Hooked of 100% UV-Treated Polypropelene Hi/Lo for Indoor/Outdoor Living with No Backing. Made in China. Vacuum regularly & spot clean stains. Professional cleaning recommended periodically.